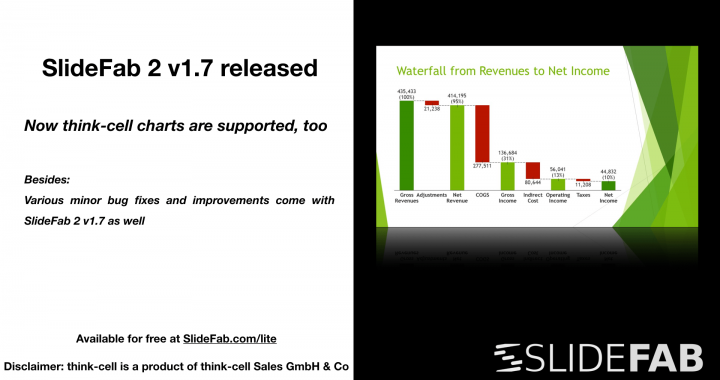 SlideFab 2 v1.7 brings not many updates but for fans of think-cell a significant one: When a PowerPoint template slide contains one or more Excel-linked think-cell charts, SlideFab will allow the chart update and break the Excel links for the output slides. In this way the output slides will contain real think-cell charts (not just mere screenshots or so) which can be fine-tuned or altered when required. Further information about how this works can be found in the documentation. The art of creating PowerPoint presentations is topic of a whole industry: Templates, tutorials, manuals, best practices, etc. are offered to enable users to sculpture one perfect presentation. However, so much effort for one presentation does not scale well, e.g. when each country, business unit, team leader, etc needs a dedicated presentation. In such cases mass creating slides and presentations can help: Same structure but different data. In most cases the outcome is not very emotional or thrilling as titles or annotations do not reflect the message conveyed through the data. The slides tell no story. In fact, one might argue that a phonebook is more exciting. 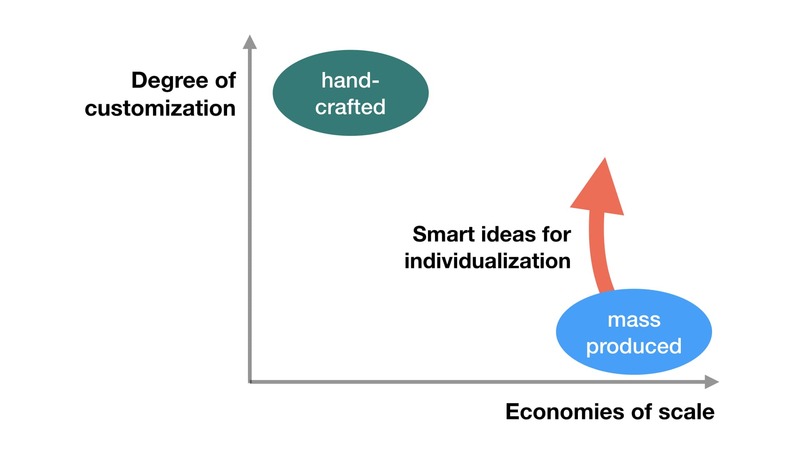 Unfortunately, the situation is as follows: One gets either customization or economies of scale. However, this article is about approaches to bring more customization to mass-produced slides. Even though these tipps are meant for SlideFab 2, some will find them helpful for manual automation coding with VBA or Excel modeling in general. 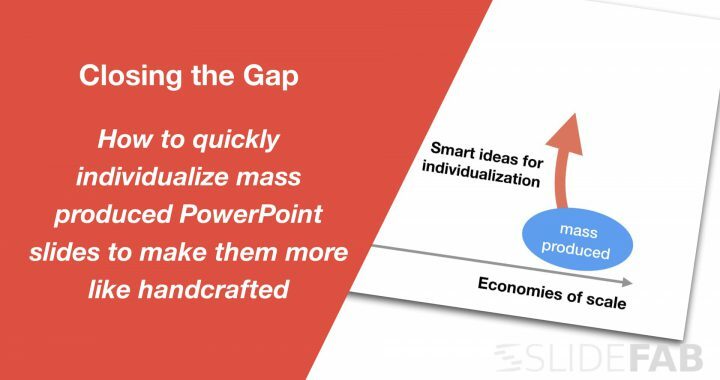 So, here are some ideas which explain how to get more customization when mass producing PowerPoint slides or presentation based on Excel. 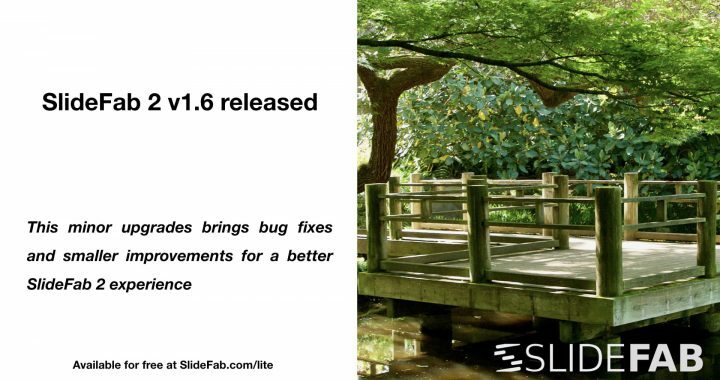 SlideFab 2 v1.6 is available now. It brings a couple of minor bug fixes and improvements . Of course, this version is also available as all free SlideFab 2 lite edition. How much time does SlideFab 2 really save? In order to find that out there will be a competition between Alice and Bob. On the one hand, Alice uses SlideFab 2. On the other hand, Bob uses his own hands with high-performance copy and paste and leverages a small VBA snippet as turbo. 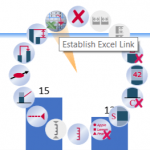 The task will be to create dashboard slides in PowerPoint which are filled through an Excel-based calculation. Automatically creating more than 200 Powerpoint slides with dynamic title and chart in 5 minutes for free? 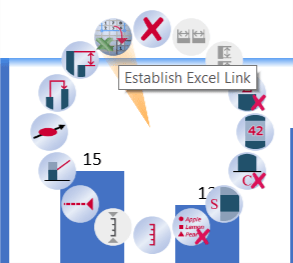 Learn how this works using SlideFab 2 lite with linked charts in this blog post. 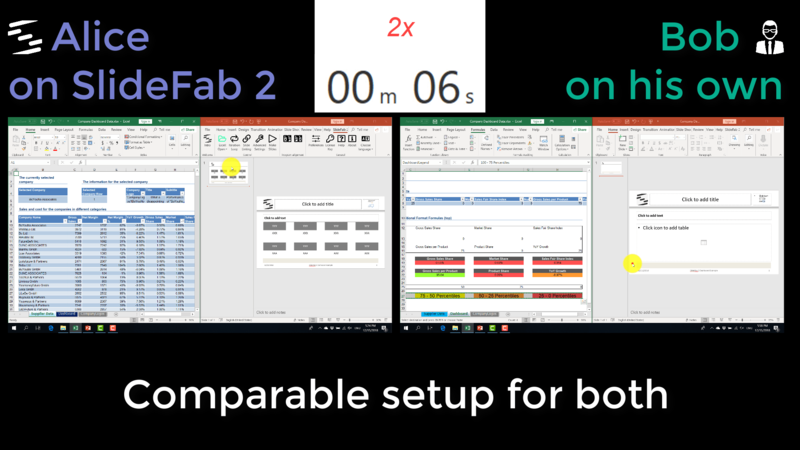 SlideFab 2 v1.5 comes with the great new feature to automate Excel-to-Powerpoint linked charts. 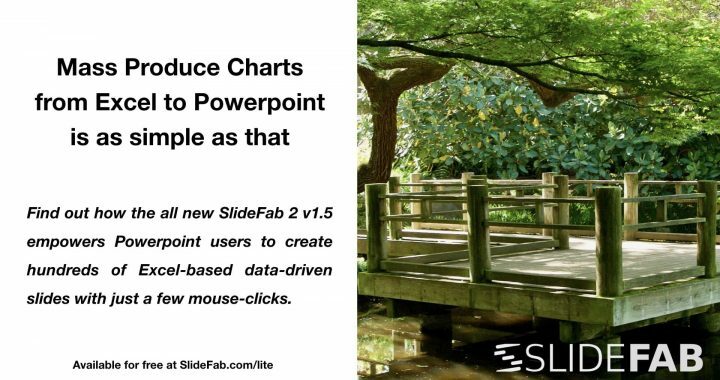 This is a great addition to the existing SlideFab 2 features which can copy charts from Excel to Powerpoint as image and to update the data in Powerpoint charts. Of course, this feature is also supported in the all free SlideFab 2 lite edition. MINOR UPDATE 10th January, 2019: A new installer was made available as the old SSL certificate had expired. 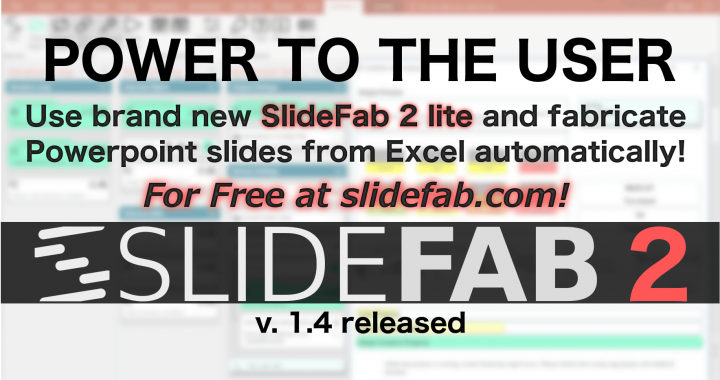 SlideFab 2 v 1.4 is an edition update which introduces an all new and totally free SlideFab 2 lite version. 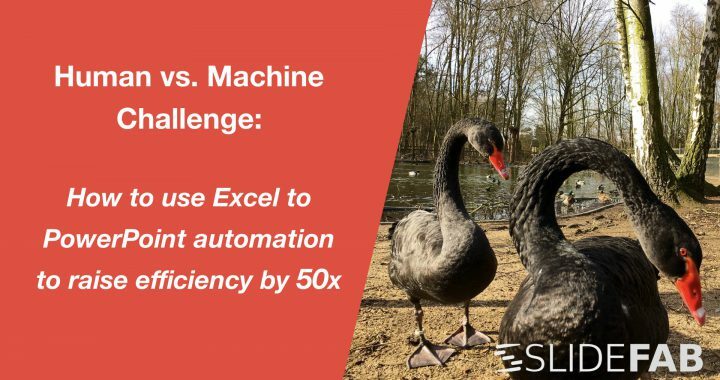 The idea of this lite version is to democratize Excel to Powerpoint automation: Power to the User! It offers all features of the full SlideFab 2 versions flex and saver. The lite version can be used to automate two shapes per slide, which will cover essential tasks, e.g. setting slide headline and some content automatically. This content can be a chart, an image, a table or even something else. With this lite version dozens, hundreds or even thousands of slides can be fabricated automatically. Please follow & like us :) Thank you!